This intricate snow sculpture, designed by Brent Collins and Carlo Sequin was very exciting. It collapsed two and a half hours after completion (very sunny and warm), but judging concluded two hours after completion and it won second place! 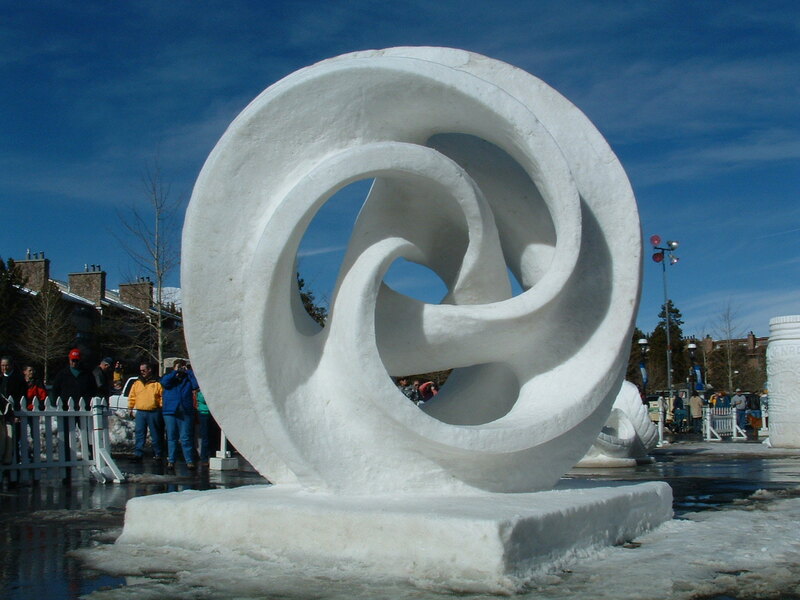 WWW was chosen as the US Snow Sculpture of the Year for the 2002-03 season by Friends of Sculpting Inc. The international competition is held annually in January in Breckenridge, Colorado. We start with 10x10x12 blocks of snow weighing 20 tons and work for five days. Stan's narrative of the week.